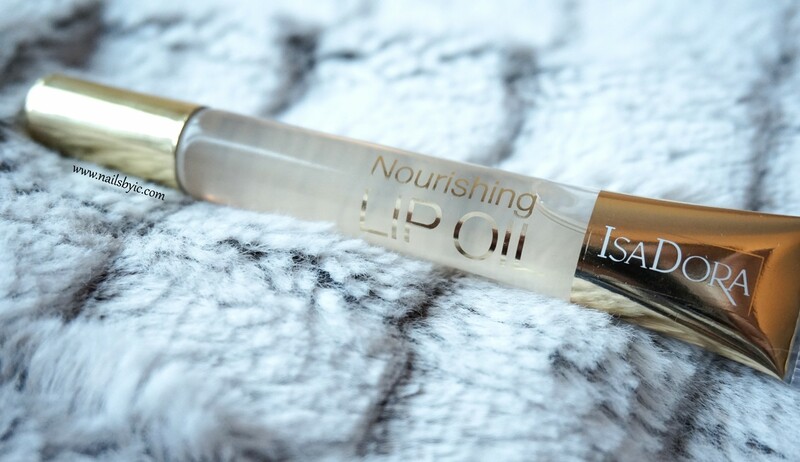 Yesterday IsaDora launched this nourishing lip oil with argan oil and avocado oil. The formula is gel-like and the oils both repair your lips and make them soft. It’s transparent and very shiny, something in between a lip balm and a lip gloss. I must say I really like this lip oil! More than I thought I would actually. I haven’t tried anything similar before but it both feels and looks really nice. I like the fact that it has natural oils and fragrances and the scent is amazing! It’s a combination of vanilla and lime. The oil stays on the lips much longer than a regular lip balm and it feels really nourishing. However, it is a little bit sticky but not that it’s bothering me (and I’m quite picky). Overall I think IsaDora made a great job with this one, maybe the packaging is a bit boring. I think the product feels more luxurious than what you would expect from just seeing the plastic tube. The price for this lip oil is 109 SEK. Anything with Argan oil is the best.